It’s no secret that we’ll be having a HOT Christmas, so it makes more sense to indulge in a refreshing drink! This chocolate peppermint shake won’t even take five minutes — here goes your instant mood (and temperature) boost! 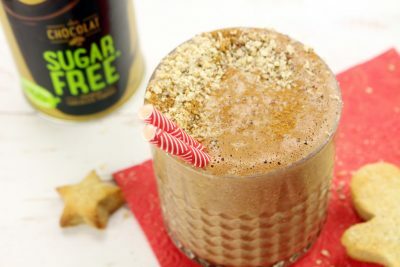 Stay cool this Christmas with a healthy gingerbread smoothie! Have one for yourself, or even make an entire jug for Christmas celebrations. It won’t disappoint – it’s vegan, gluten-free, and refined sugarfree! 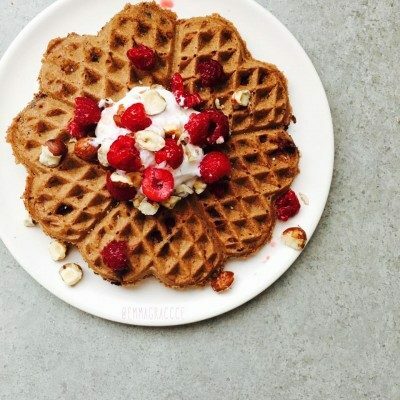 In need for a stronger breakfast kick? 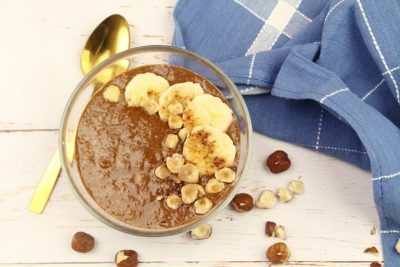 This espresso hazelnut smoothie bowl won’t fail you! 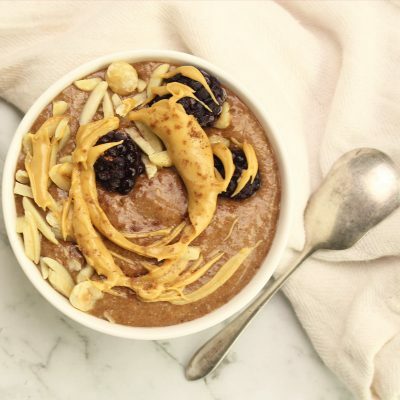 It’s a quick, vegan, gluten-free, and dairy-free bowl that’s sure to keep you up and running! We are firm believers in getting refreshed after an intense workout! 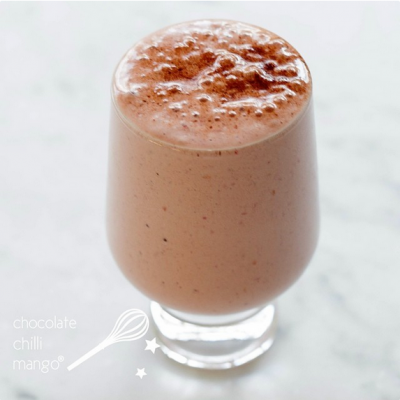 So we’ve put together a mint green protein smoothie to do just that while providing your nutritional needs. 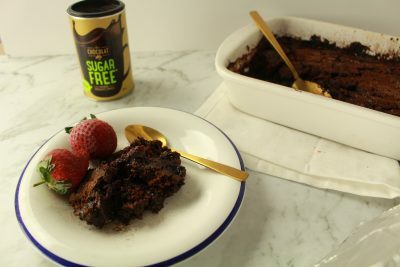 What’s not to love about it when it’s refined sugar-free, dairy-free, gluten-free, and vegan too? Surprise! 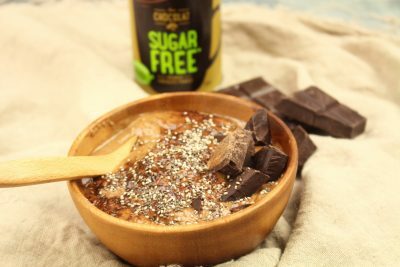 We found that chocolate and tahini go well together even in a simple smoothie bowl recipe! 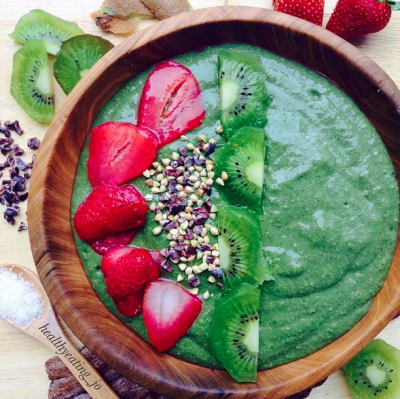 Is there anything not to like about this smoothie bowl? 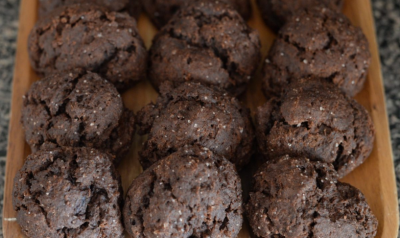 It’s vegan, dairy-free, gluten-free, and refined sugar-free! Now that’s guilt-free indulgence right there. 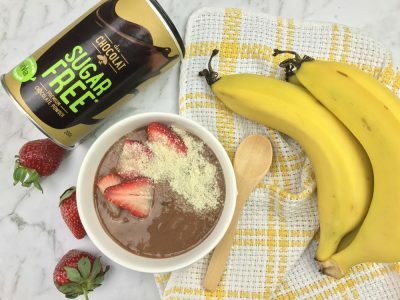 It’s true what they say – “a little goes a long way.” This simple choc strawberry banana smoothie bowl has the simplest ingredients that can be easily found in the fridge! This bowl is perfect for your lazy days, or when you’re in a rush after an intense workout! Love a milkshake as thick as cookie dough? 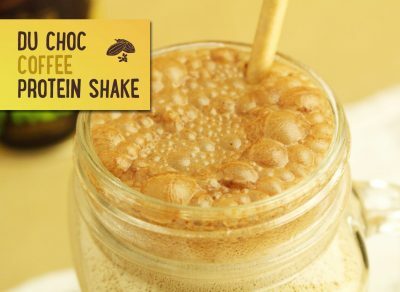 Then this chocolate cookie dough protein shake is for you! 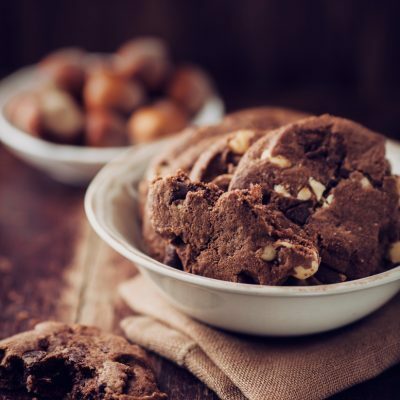 It’s definitely a guilt-free way to enjoy a cookie dough consistency – it’s refined sugar-free! We are firm believers in the powerful combination that is chocolate and matcha. 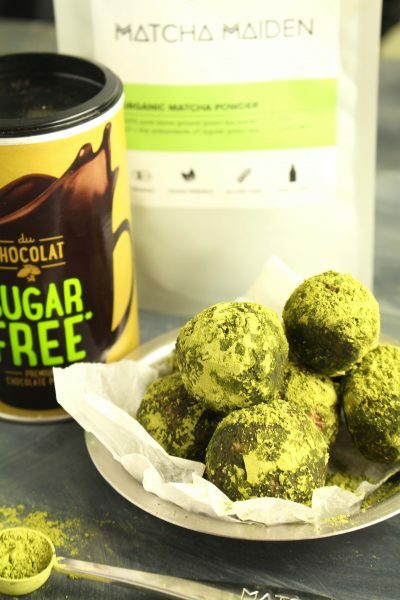 These delicious chocolate matcha bliss balls can attest to that – they’re also sugar-free, dairy-free, vegan, and very easy to make. 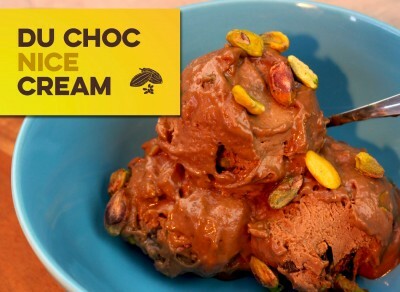 And you know what this will go well with – a hot cup of Du Choc! 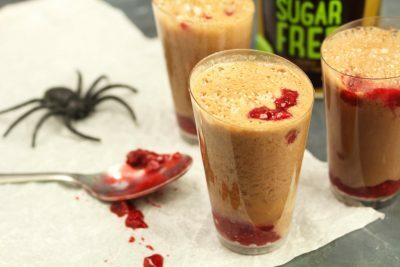 We’re all about the (superfood) shots this Halloween! 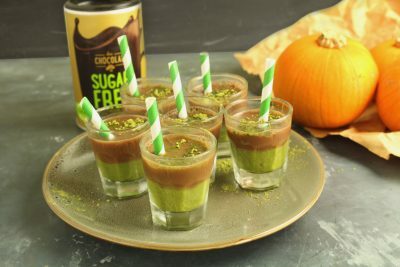 Here’s another deliciously healthy jelly shots recipe made with matcha and chocolate. 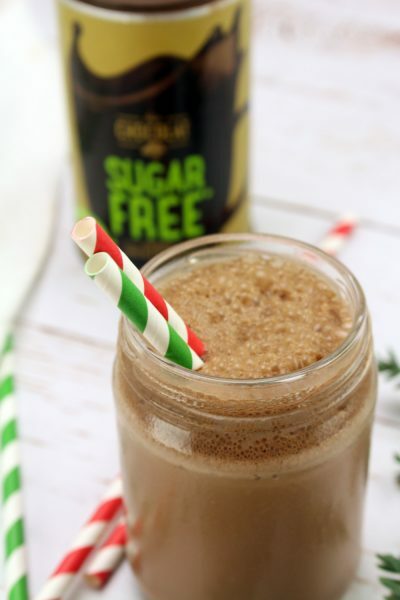 Take as many shots with this one – it’s refined sugar-free, dairy-free, and gluten-free! Want to take some shots, but without the booze? 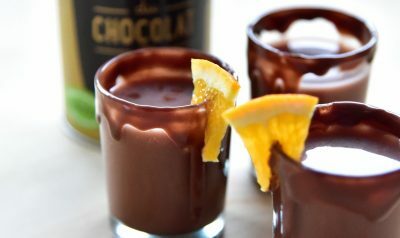 Not a problem with these maca orange hot chocolate shots by Nourish_and_Evolve! Aside from the fact that it’s better for you, it’s also amazingly delicious. 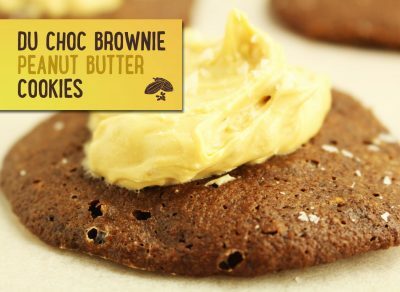 Have a girls night out, serve these, and get ‘drunk’ on chocolate! 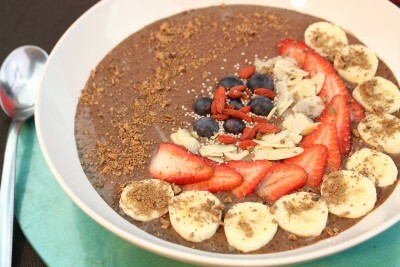 Warmer days call for refreshing treats like Jaz‘s (www.jnourish.com) chia choc mint pudding! 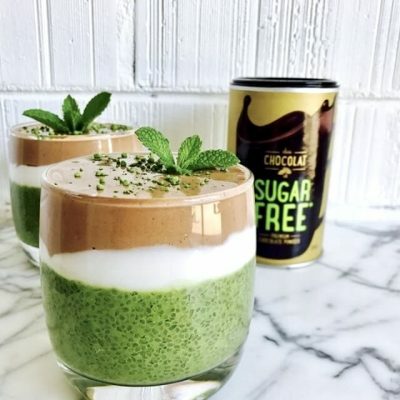 The top layer gives you a chocolate-banana goodness, before proceeding to scoop the minty, matcha chia pudding. Delish! 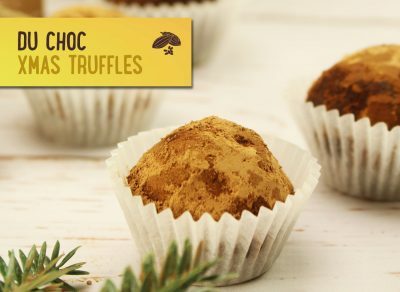 isn’t it just the perfect treat for when you’re under the sun? 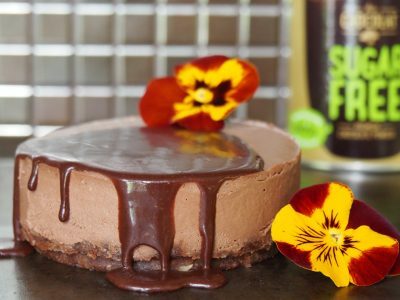 Another three of our favourite things in the world: Chocolate, Coconut, and Matcha (hence the name CCM) in one treat! 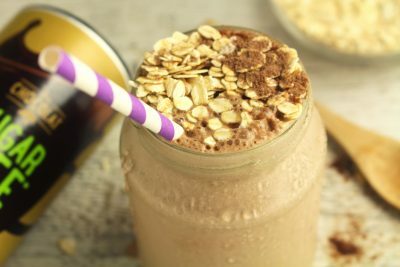 This is a great post-workout shake to give you the muscle recovery that you need. 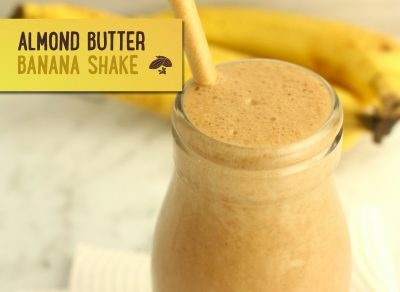 This delicious shake will have you looking forward to the end of that killer workout! 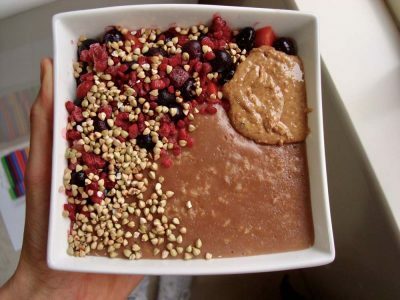 Ever heard of zoats? 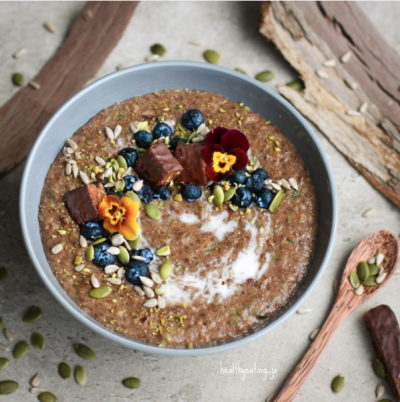 It’s zucchini and oats – another bowl mastered by The Healthy Eating Jo! It’s perfect for whatever time of the day – breakfast, snack, or even post-workout. Aside from eating it, designing the bowl can also get fun, so choose your toppings well! This bowl can get Instagram-worthy! 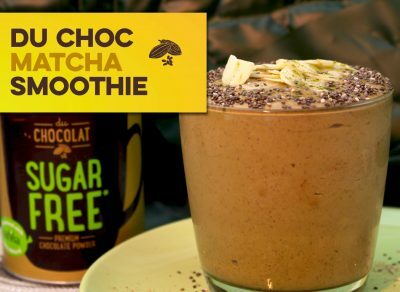 Warmer days call for a refreshing smoothie like this chocolate maca smoothie! It’s not only simple to make, but also tastes simply amazing. 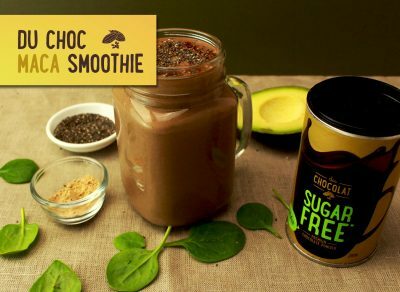 With superfoods Maca and chia seeds, how can you help but not feel superb after drinking this? Your oatmeal doesn’t have to be plain and boring! 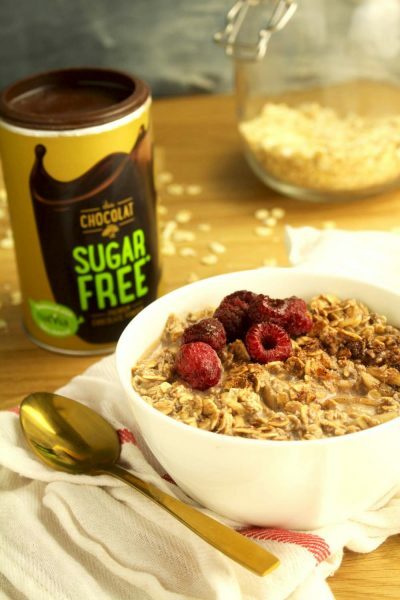 It can be chocolatey & nutritious just like this chocolate overnight oats recipe. It’s packed with plant-based protein that can be found in the almonds, yogurt, and milk. If you’re looking to increase the protein content, adding in protein powder will work just fine! 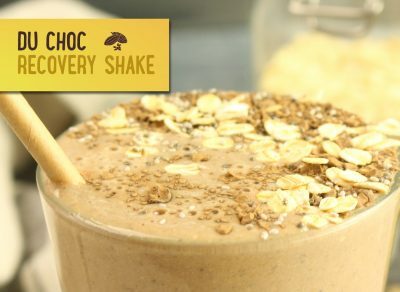 A tiring day at the gym merits a delicious post-workout treat like this recovery shake! 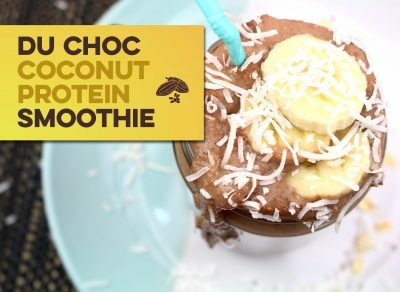 It’s not only packed with protein, but also with superfood maca, oats, chia seeds, banana, and Du Choc. This is a great way to recharge after all that hard work! 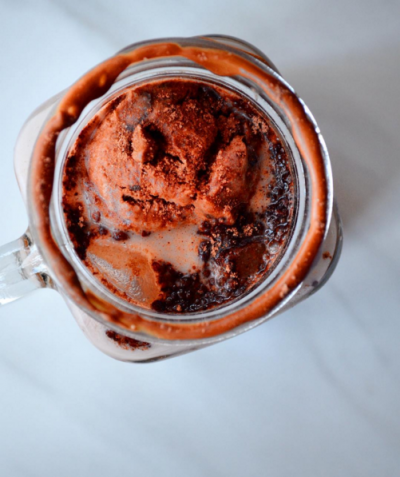 Since warmers days are here, iced chocolates are a hot topic once again. 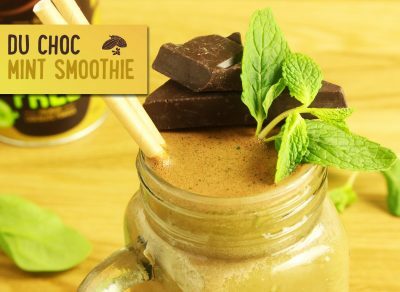 @maybehealthy came up with a delicious and chocolatey vegan iced chocolate recipe that you will surely enjoy in this weather! It’s super easy to make, you won’t sweat a bit. 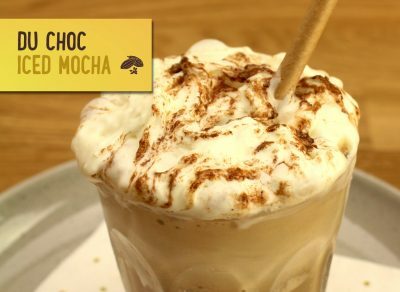 The chocolate-coffee combo doesn’t always have to be a sinful one! 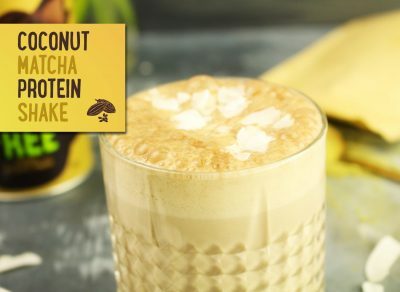 In fact, you can turn it into a protein shake like this Chocolate Coffee Protein Shake – perfect for your post-workout nutritional needs after a hard day at the gym. And the taste? so creamy and delicious you won’t believe it’s guilt-free! 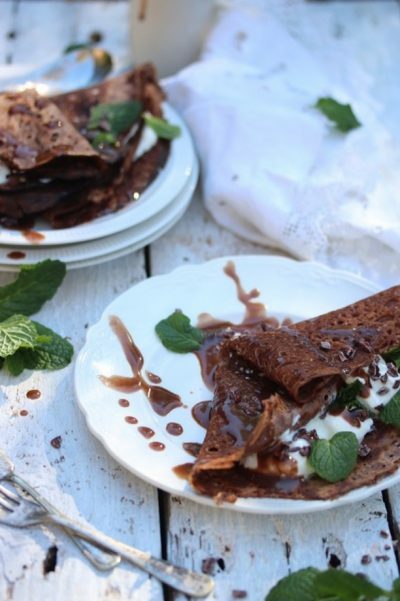 For a delicious grain-free breakfast, try these chocolate quinoa crepes. 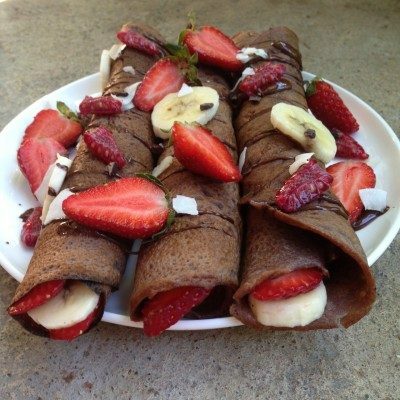 They’re quick to make, which means they’re great for when you suddenly feel like treating yourself to brunch! Make sure to top them with all your favourite fruits for a truly delicious morning. 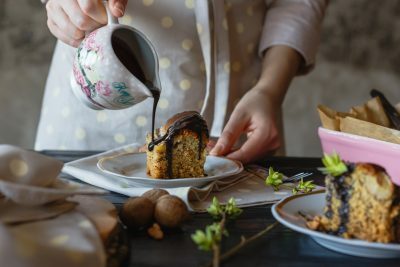 This recipe is by Wholesome Ines. 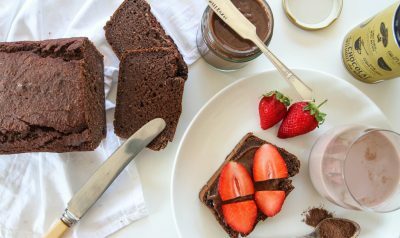 Chocolate for breakfast is definitely high on our list of the best ways to start the day! 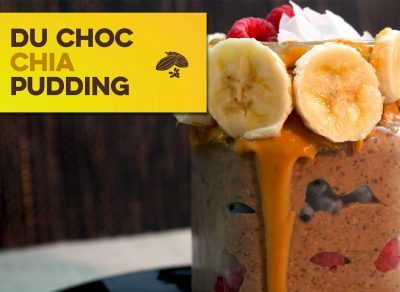 This chia pudding is super healthy, and the peanut butter not only tastes amazing but gives you a protein kick to keep you going all day! 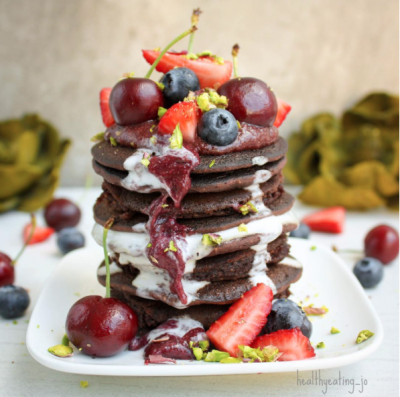 We’ve taken strawberries and cream to the next level with these chocolate buckwheat pancakes! 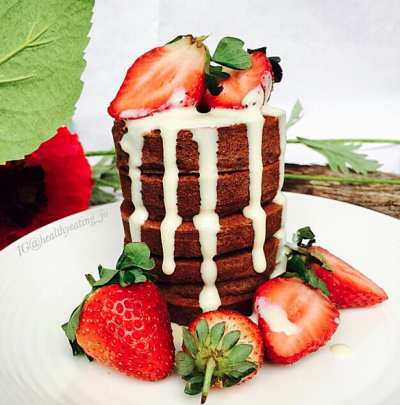 They’re gluten free, and packed with protein to make these the healthiest pancakes you’ve ever eaten! This recipe is by the wonderful Healthy Eating Jo. Looking for something special? 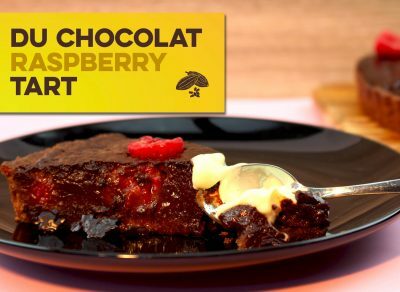 This Du Chocolat Raspberry Tart is a super indulgent way to treat yourself. Go on, you know you’ve earned it! These muffins feature zucchini to make them extra healthy! 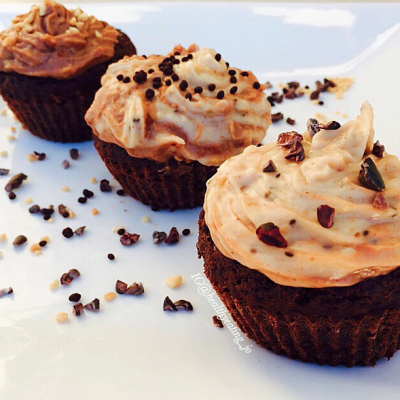 You can use peanut butter, almond butter or your favourite nut butter for the icing. 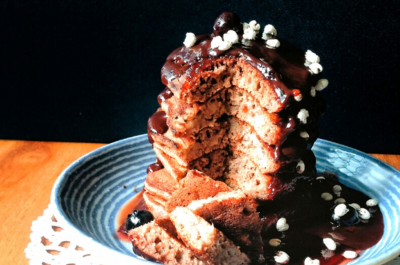 This recipe is by the wonderful Healthy Eating Jo. 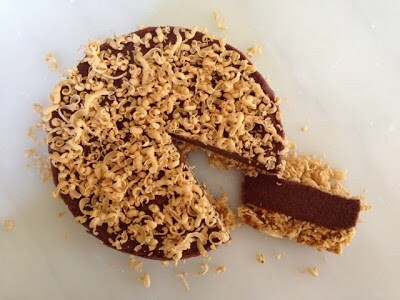 Bite-sized pieces of cheesecake, covered in chocolate? Don’t mind if we do! 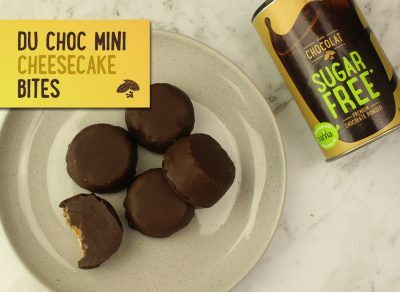 These little treats are vegan and low-carb, as well as lower in sugar! 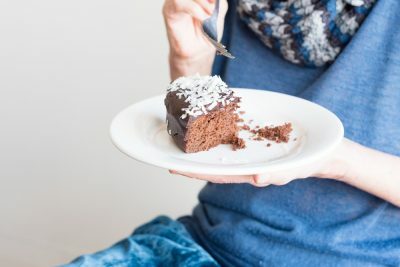 Obsessed with doughnuts, but not such a fan of the sugar content? 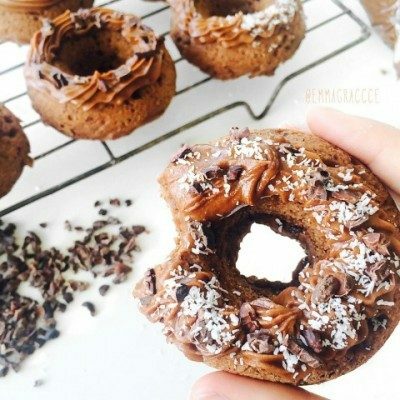 Never fear, these delicious sugar free doughnuts are here! What’s better than chocolate? Three times as much, of course! 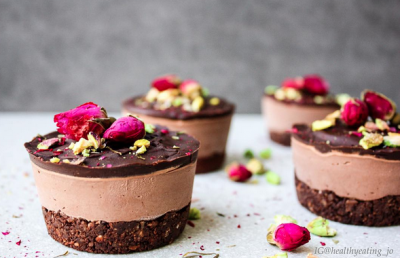 These super cute cheesecakes are raw, vegan, and packed full of our essential ingredient, chocolate. 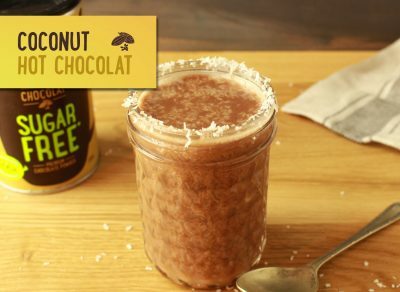 Take your hot chocolate to the next level with this tropical twist! If you love coconut (and let’s face it, who doesn’t), then you’ll adore this creamy hot chocolate. 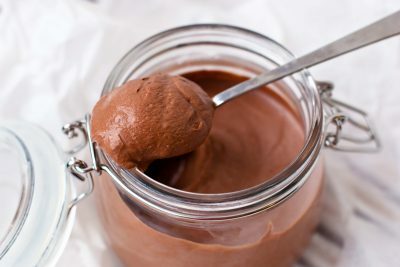 A classic winter warmer, this pudding makes its own chocolate sauce as it cooks. Is it magic? We’re not sure, but we do know it’s absolutely delicious. 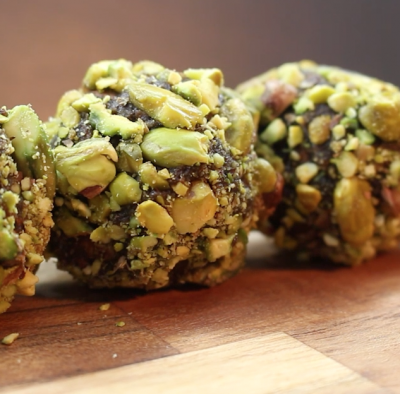 For a quick snack without the sugar, our bliss balls have you covered! We’ve included a hit of coffee to really pick you up. 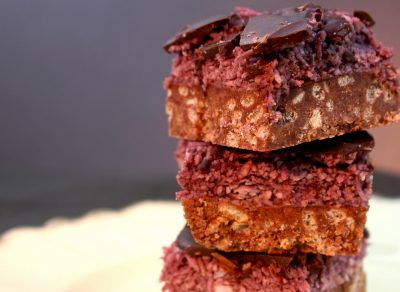 A chocolate bar without all the added nasties, this cherry ripe slice is just as addictive as the original! And there’s absolutely no cooking involved. 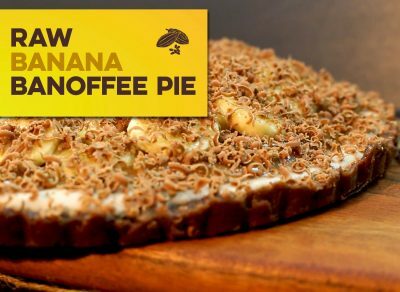 Banoffee pie is one of our favourite desserts, but all that toffee and sugar isn’t so great for us. That’s why we’ve made a raw version, using naturally sweet ingredients so you can still enjoy the flavour combination you love! Matcha is one of the hot new ingredients on the block, and for good reason! It tastes delicious and is packed full of antioxidants. Our favourite? 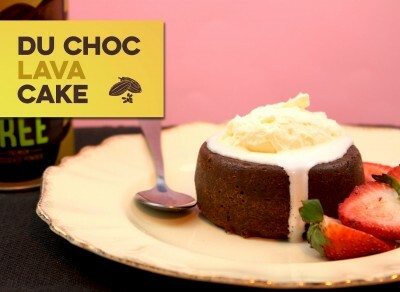 It pairs perfectly with chocolate! 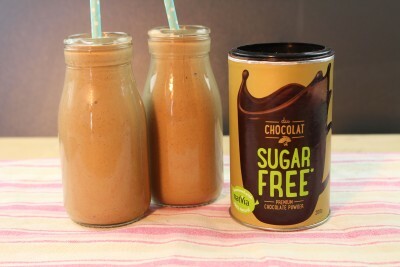 This smoothie is sugar free and vegan, making it the perfect healthy start to your day! 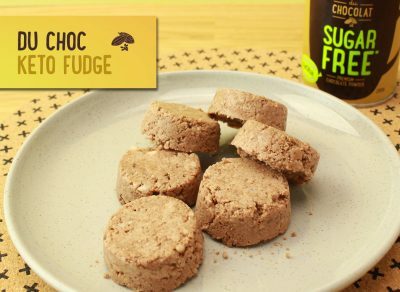 A super simple fudge perfect for anyone looking to cut down on carbs, this sugar free dessert is every chocolate lover’s dream! Best of all, it only has four ingredients and you can make it in a flash. 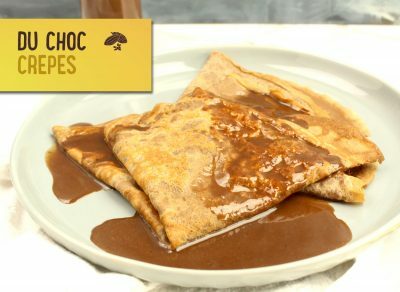 These mint-chocolate crepes are topped with a divine chocolate sauce for the ultimate breakfast indulgence! This recipe is by the very talented Sarah. 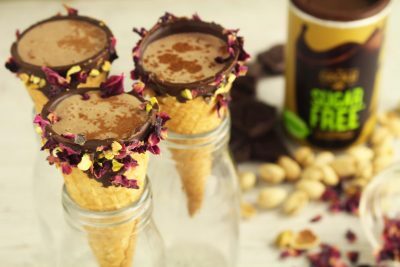 We’ve taken an Australian favourite and given it a healthy, Du Chocolat twist! 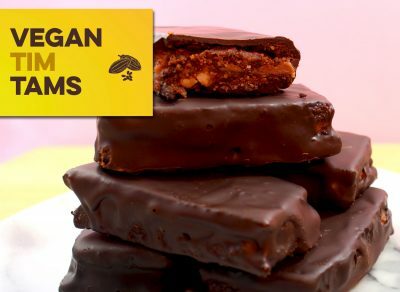 These homemade Tim Tams are vegan and sugar free, and taste (dare we say) even better than the real thing! This creamy, dreamy cheesecake is super smooth and seriously quick to make! 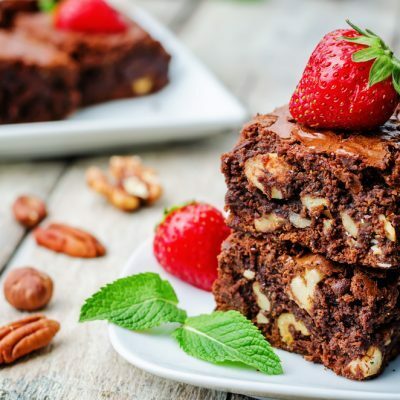 This recipe is vegan, gluten free, and totally delicious! Turmeric is getting some serious spotlight for its anti-inflammatory and antioxidant properties. We love this colourful superfood so much, we’ve added it to our smoothie for a breakfast or post-workout snack. 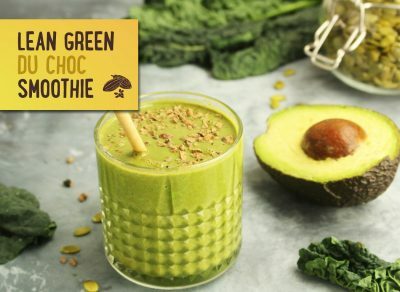 This smoothie is full of healthy fat (thanks to our fave vegetable, avocado), and it’s vegan too! Chocolate for breakfast? It’s allowed when it’s our healthy Du Chocolat Acai Bowl! 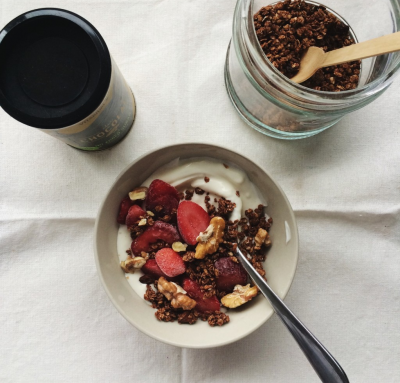 Top with all your favourite ingredients to customise this easy breakfast recipe. 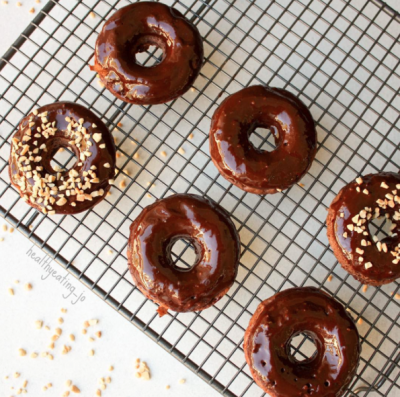 We’re nuts for doughnuts, especially when they’re as good as these! 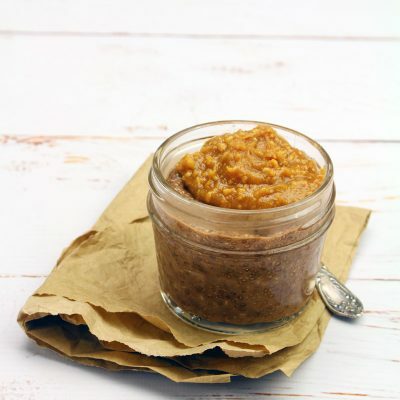 This super easy recipe is gluten free, sugar free and vegan and tastes amazing. 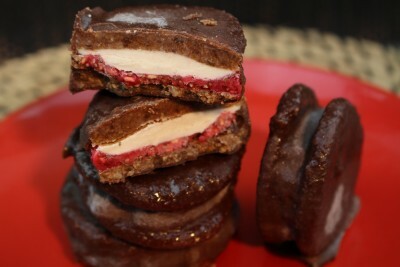 Relive your childhood with this refined sugar free, vegan version of Wagon Wheels! Make sure you start this recipe the night before, as it’s important that the cashews are soaked and coconut cream chilled overnight. Sign up and receive your free eBook! 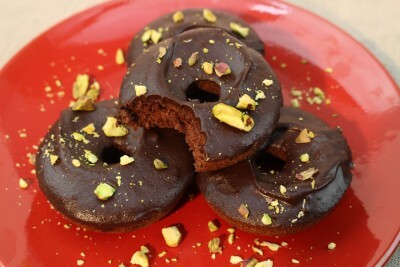 Join the Du Chocolat mailing list for free recipes, health tips and eBooks!